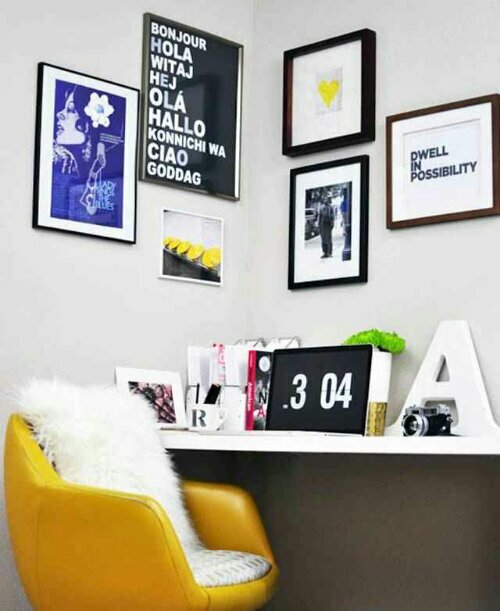 A few examples of how to utilize a corner desk etc but still have your gallery wall…. 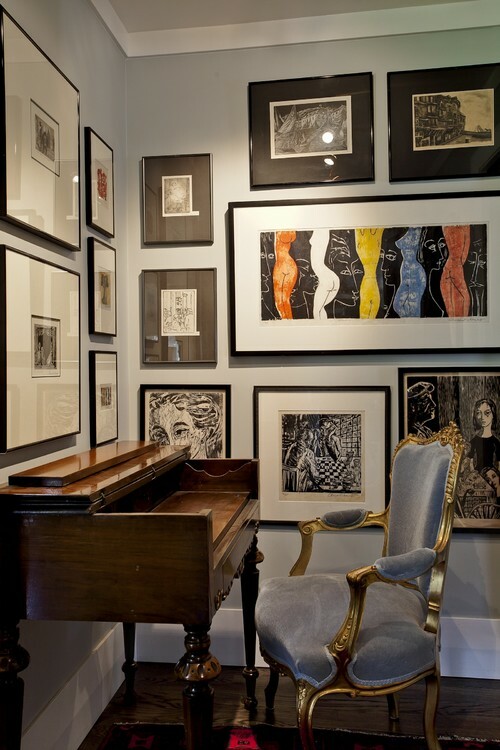 Love this post…real inspiring as I am still buying art for my office. This office is the design death of me. 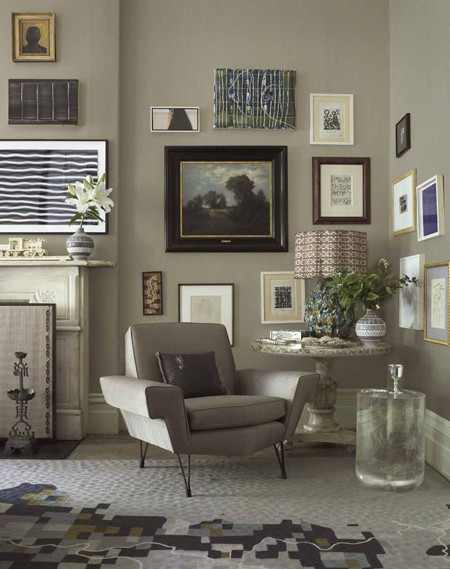 I still need a rug, pillow and more art. Just add a shelf and plant this past weekend, so progress…but at a snails pace. Great idea. 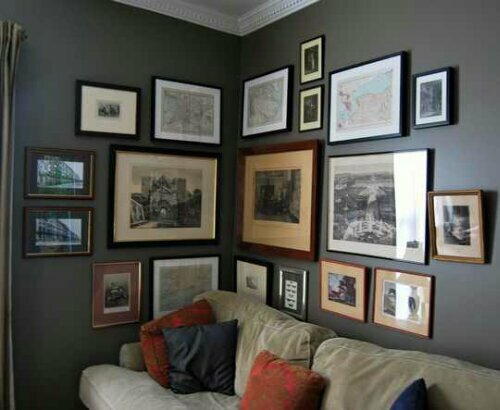 Never thought to carry a gallery wall from one wall to another.